Boost your bankroll with exclusive YourPokerCash bwin freerolls! Growing your bankroll can be hard work. But here at bwin, you can boost your bankroll for free! All you have to do is to create an account on bwin with us and become a real money player (make a deposit). Then you will have access to all of these freerolls. 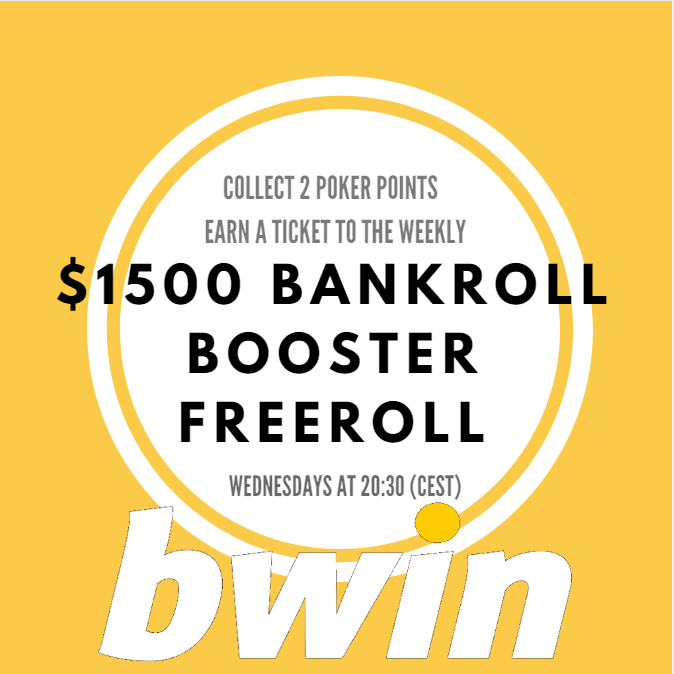 By simply collecting 2 Poker Points playing real-money poker games, you can earn a ticket to the weekly “$1,500 Bankroll Booster” Freeroll every Wednesday at 20:30 (CEST) where you can compete for an amazing $1,500 prize pool! 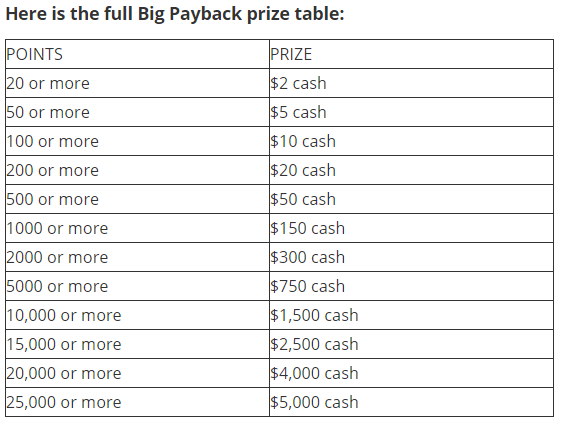 Check out the table below for more information about the payout. bwin is offering 100% up to €100 on your first deposit, and boost your initial bankroll while playing poker. The deposit must be made within 30 days of account creation to be eligible. The following deposit methods don’t qualify for the bonus: Moneybookers, Poli, Skrill1tap, Webmoney and Ukash. YourPokerCash is running a $15,000 rake race every month that you are automatically opted into signing up through YourPokerCash. 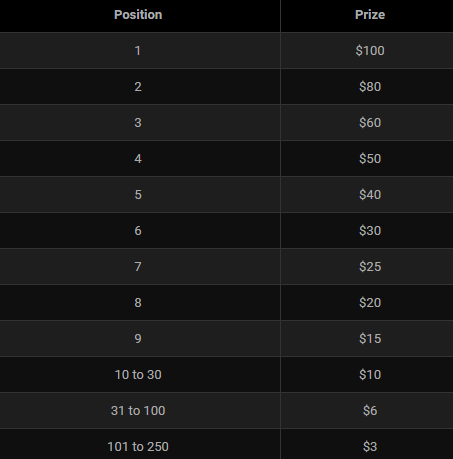 Top 100 placements are paid, and the top payout will be awarded $1,875. Therefore, check out the Leaderboard under our Rake Races Promotions Tab at the top. On top bwin’s great VIP program. YourPokerCash is offering you an additional 10% cashback based on total bwin points you generate each month. You must earn a minimum of 200 points during the month to qualify. The additional Cashback payment is paid out to your player account on the 15th of the following month for previous month’s partypoker points generated. Therefore, to check out your additional Cashback generated, please go to Rake Races Tab and check out the YourPokerCash Exclusive party/bwin Rakeback leaderboard. 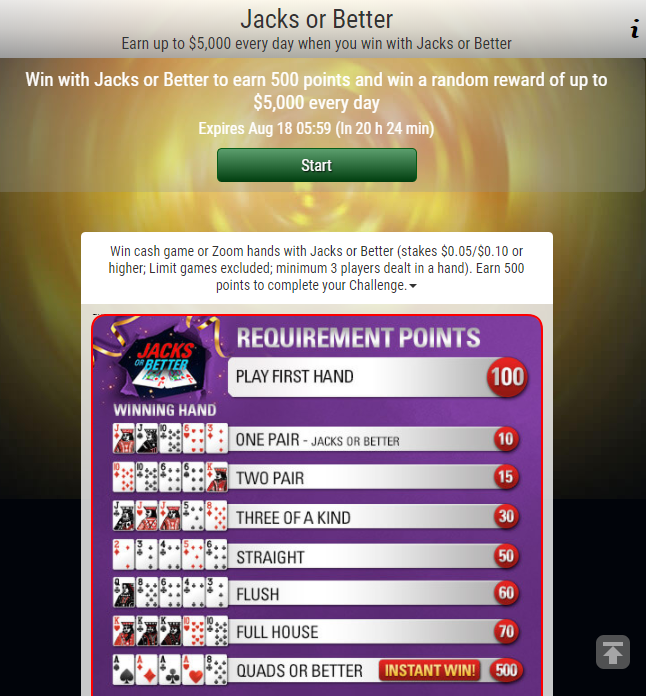 This promotion only qualifies for new bwin sign-ups through YourPokerCash. Opt-in weekly to our Bonus Builder promo and earn up to $500 every week in Rakeback, based on the points you earn playing any Cash games, tournaments or promotions! Every point that you earn playing Poker will increase the Rakeback that you ultimately receive at the end of the week. The more points you collect the more you get! While you play at bwin, the more Market Points and Status Points you collect. Then you can then use them to get your hands on loads of exclusive products. Your points will also allow you to profit from a number of top privileges too. Earn 2 Status/Market points for ever €2 in rake. Earn 1,000 points a month and earn “yellow” status. Daily from 18:00 to 19:00 and 23:00 to 25:59 Earn Double the points. Enjoy 60 minutes of extra rewards when you earn points for any real-money poker game you play! Opt-in via your account page now and benefit from our Happy Hour. The Happy Hour promotional periods run on a daily basis from Monday to Sunday. Each promotion cycle requires a new opt-in. As well as earn an additional $2-$40 bankroll each week through the amazing FastFoward Challenge. 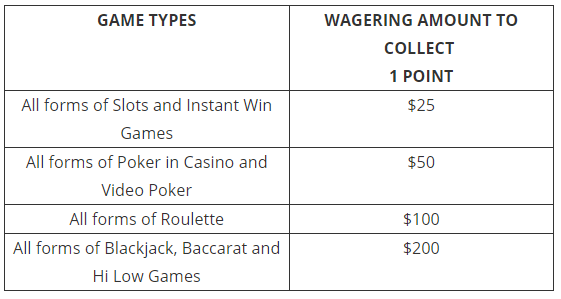 Not to mention, earn 1-100 points each day of the week for a minimum of 4 days and boost your bankroll at the end of the week. Opt-in for the promotion and take a seat on the FastForward tables now! Here in Sit & Go 3-Handed, you’ll be pitted against 2 other players for the chance to play for a prize pool worth up to 12,000 times your buy-in, meaning an immense $1,000,000+ could be won for coming 1st place! Check all details here, and join bwin today!